This project involved the build of a new 4 Single Storey Classroom block and purpose designed Satellite Building for Special Needs children. Both projects were managed to run concurrently with a single client, but different end users and schools. 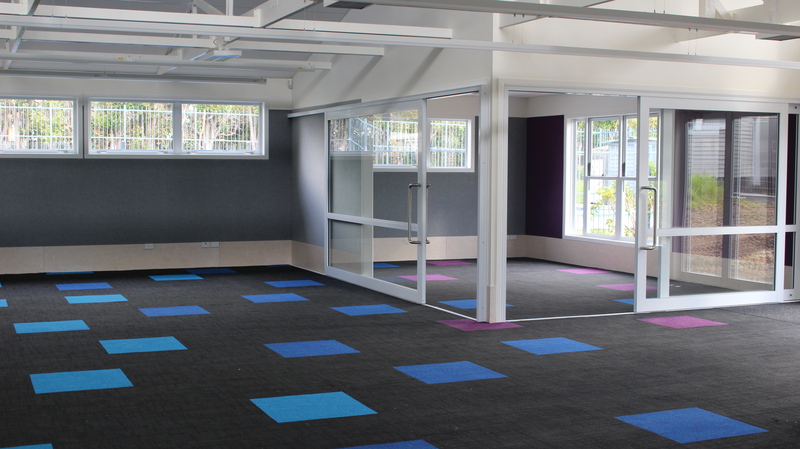 The 4 Classroom Block is a new open MLE with open Trussess, large door and window openings, and loads of fun colour on the floor and wall linings. The Satellite Building is purpose designed, with high dependancy bathrooms, play areas, outdoor playground and modern teaching space. This block also includes a large drop off zone and new car park and bus bay.